Reggie Young, linchpin of the Memphis sound and prolific Nashville session man, has died at age 82. 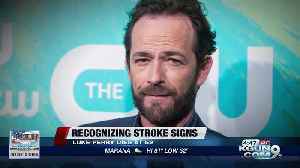 Luke Perry's death comes just weeks after legendary Arizona basketball coach Lute Olson was hospitalized with a stroke. Doctors say strokes occur more often in older age groups, but can affect people..